Everyone wants to invest in cryptocurrencies and crypto-related projects these days. Despite all the risks involved, there are innumerable perks of investing in these projects and it’s something that may turn you into a millionaire over the night. However, the increasing popularity of Crypto-projects and ICOs has also intensified the cyber thefts, phishing and spear phishing attacks. As a matter of fact, the crypto-related cyber crimes have tripled over the last year especially in case of Initial Coin Offerings (ICOs). 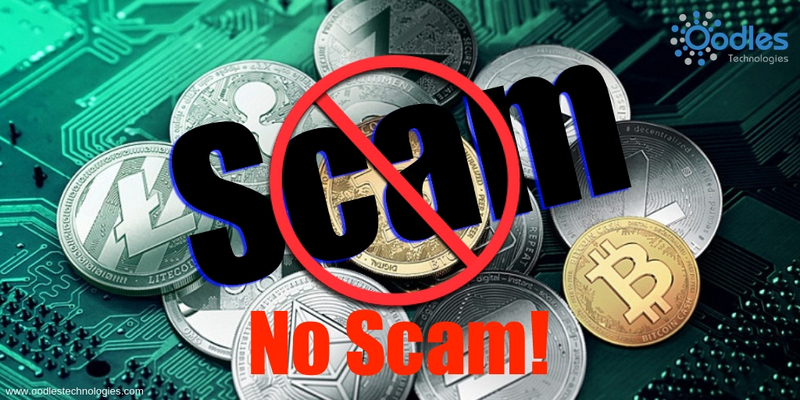 There have been innumerable instances in the past where the crypto-tokens purchased during an ICO were found to be phony. To counter these scams related to ICO, Uppsala Foundation has launched a new extension for Google Chrome web browser that aims at detecting potential scams in terms of various ICOs. The extension is very light and small in size and offers an added layer of protection to the investors for their own peace of mind. You may also like Researchers Using AI To Fight Against The ICO Frauds. Also read The ICO Fever Does Not Seem To Fade Just Yet. Uppward is a chrome extension that accesses data from the decentralized database of Sentinel Protocol and makes use of a crowdsourced threat intelligence. It is the same database from Sentinel Protocol which has been built on Blockchain to warn the users about various phishing sites. Now with Uppward, it is being used to alert the investors about various ICO scams and phishing sites posing as legitimate ICOs. Apart from that, it flags the suspicious wallet addresses and reduces the risk of spear phishing attacks.